Job candidates can be the prime vocal advocates or detractors of a company’s brand. With the ability to broadcast to vast online networks, these people are walking, talking, texting, and blogging advertisements…good or bad. Making a positive impression during the interview process is extremely important, the goal being to maintain a respectable industry reputation and be viewed as an employer of choice. A professional and refined hiring process sets the tone for the company’s culture, leaving a lasting impression on the lucky candidates who achieve an offer of employment. Explain the process. Background screening can intimidate many job candidates, even for those who have nothing to hide. Take time to explain the background screening process. Will you search criminal records? Credit reports? Provide the paperwork. Make sure to give candidates a clear, concise and compliant applicant release document that demonstrates who will conduct the background check, what they will look for, and how to request a copy of report. It will also explain whom to call if the candidate has questions about the process or needs to dispute a result. Take the time to educate candidates about the background screening process and ask if they have any questions about the document. Ensure Accuracy. Always work with a reputable background screening agency to ensure that the results are accurate. This can reduce disputes due to inaccurate information, potentially prolonging the hiring process. If inaccurate information is reported, it’s required to inform applicants that they will have the opportunity to dispute information. Follow-up. If there is a dispute, be sure to provide frequent updates to your candidate. Make sure that your background screening provider is addressing the dispute in a timely fashion and is responsive to your candidate. On the other hand, even when all information is accurate and confirmed, applicants, especially the well-informed, are often interested in what was found, essentially engaging them in the hiring process itself. 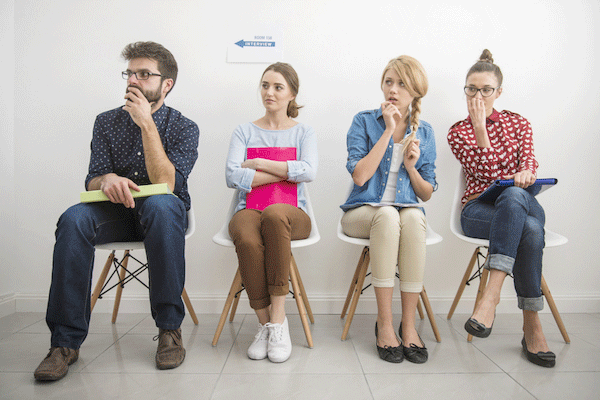 It is important that employers are aware that their job applicants are nervous—regardless if they have something to hide or not. The experience candidates have during the interview and especially background screening process could affect a company’s reputation, as every company has the opportunity to inspire these candidates to act as supporters of the company where they apply, hired or not. If they have a negative experience, there’s no doubt that they will be vocal about it. This could directly impact your brand and lead to much unwanted press. At the end of the day, Choice Screening’s goal is to help employers provide job candidates with the best possible experience as it relates to the background screening process. For more information, contact Choice Screening today.